Great post... but I have to admit, I'm surprised you're at RWA (Romance Writers of America). The last I heard, RWA didn't accept Indie or self-published authors! If they still don't, I know you'll convince them. If they do, I need to rejoin! What left me scratching my head over the Pearson/Penguin announcement was that they had acquired AS for its "production" capabilities. If, by this, they are referring to print and e-book design and typesetting, then I am truly gobsmacked. Talented book designers and typesetters are easy to find. I am one of them. Very intriguing entry; I have never looked back since going indie a year ago. Thanks Mark and your staff for making it a fairly smooth ride. What I found fascinating about the Penguin buyout was how British news sites were quite skeptical, especially The BBC and The Guardian. The LA Times only noted the figures; what does that mean? I can't decide why Penguin chose as they did, but it speaks volumes to independent publishing's future. No better time to go indie. Valerie, I don't know their membership rules, but I think it speaks volumes they invited me to to speak to their members. They and most other professional writers orgs have really warmed to self publishing over the last couple years. When I spoke at NINC last year, I was blown away to learn that most of their members (almost half?) were already on Smashwords. I look forward to learning how many RWA members are on Smashwords. The amazing Sylvia Day is RWA's incoming president, and she's one of a growing number of successful romance authors who are straddling both worlds of indie and traditional. 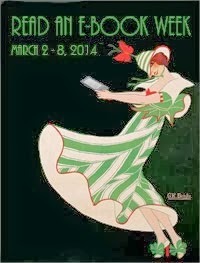 You mentioned "There are signs that some publishers are beginning to realize they need to implement strategies to bring indie authors back into the traditional fold..."
My wife & I were discussing this just last night, agreeing that a traditional publisher would have to wave a pretty big carrot in front of my face now to get me to sign with them. That wasn't the case just a year or 2 ago. In the fluid business of epublishing, I don't think the good ol` boys can keep up. At the rate it takes these super tankers to turn course with their implementations, they will have missed the boat again. Mark, it does speak volumes. I let my membership to RWA lapse because they wouldn't accept me. Forgive me, my little heart is fluttering. *grins* All my romance novels are on Smashwords once again. I can't wait to find out how it goes! Dana, I'm hearing the same thing from authors. I think the required carrot will get larger for those who now recognize what's possible. For an author to fully grasp what's possible, it helps to view their income streams in a new light. With a traditional publisher, you get an up front advance. That's a benefit. It means even if the book doesn't sell, the author gets paid. It means the publisher is exposing themselves to risk. In the pre-ebook days, it also meant the author exposed themselves to going out of print literally within weeks of release if the book didn't jump off of shelves. With ebooks, the book is immortal. It's always on the shelf. For authors who sell their rights to a publisher now, it means that even if the print book goes out of print, the ebook stays in print. It'll be more difficult for traditional authors signing deals now to claw back their e-rights in the future (helps to have a good agent to negotiate author-favorable digital reversion rights in the contract!). An ebook that never goes out of print therefore has the potential to create a life-long annuity stream of earnings. Authors need to decide if they want that stream passing through the hands of their publisher, where they'll earn 25% net, or coming in direct where they'll earn 85% to 100% net. Even if a book is only earning $50 a month, that's $600 a year in the author's pocket which over many years adds up. It's great that authors now have these choices that they didn't have previously. Authors need not spend a king's ransom to produce, distribute and sell a professional quality ebook. Are you accepting epub submissions yet? timecorps, we've committed to do it before the end of the year, and it'll be closer to the end of the year than today. If you're holding back publishing, waiting for this feature, don't, because you're missing out on readers. You can create a professional-quality ebook following the Smashwords Style Guide, and once we launch the direct epub upload option, you can replace our epub with your own if you like. However, most novelists will probably conclude that such a swap isn't necessary. Our system supports a lot of styling, and most authors don't even take full advantage of our capabilities there. "According to the company statement, Author Solutions generated $100 million in revenue in 2011 and has been growing at about 12% per year for the past three years. The company derives its revenues from self-publishing authors paying for publishing, marketing and distribution services — roughly one third of its revenue from each business. 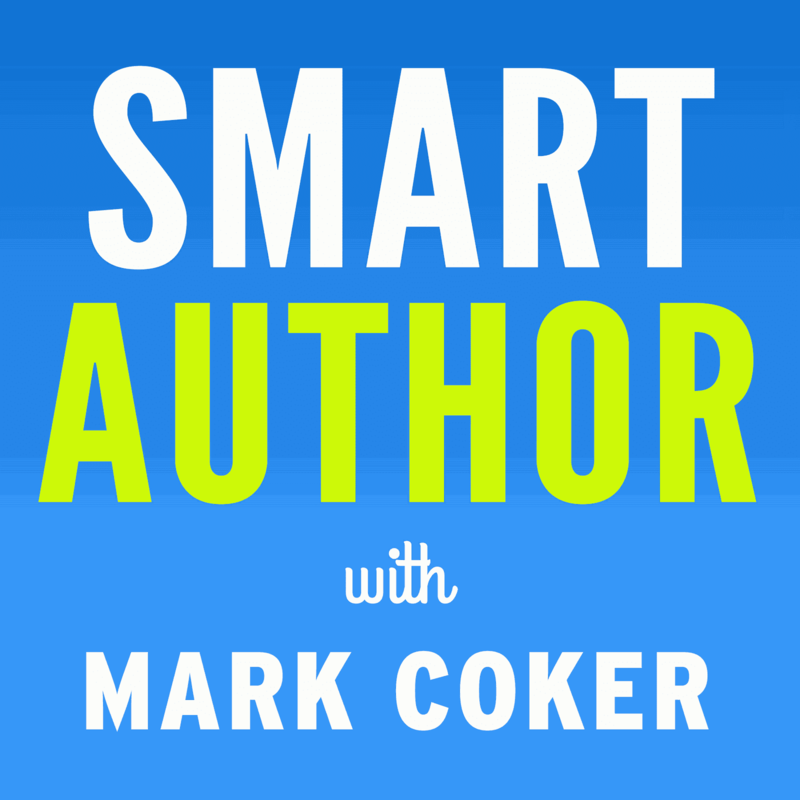 Author Solutions has 150,000 authors who have published 190,000 books. By comparison, competitor Smashwords claims to have published approximately 140,000 titles by about 40,000 authors." In my opinion this statement demands a scathing reply. It's like comparing a meal created at home by a good cook to fast food at Macdonalds. Smashwords is in no way a competitor to Author Solutions. Authors Solutions sells high-priced services to wannabe authors. readers and writers are just an afterthought. Smashwords puts readers and authors first and makes a profit from it. Thanks for the great post, Mark. Very interesting! The most cynical interpretation is that Penguin sees no future in selling books to readers, and a lot of future in selling useless services to authors. I've heard vanity publishers called a lot of things, but 'unprofitable' isn't one of them. Hey Mark - Thanks for blogging your thoughts about the Pearson-AS purchase. It doesn't make much sense to me either, except as yet another sign of desperation and confusion at the "big" publishing houses. Pearson can immediately add $100 million to its top line, and a few million to its bottom line, but has hung a huge albatross around its neck. Meanwhile the venture capitalists are gleefully scampering off with their huge profits. My prediction? Pearson will either hire someone with insight in the indie-publishing field to overhaul AS now (not terribly likely) or totally write off a rotting investment in a couple of years. Keep on doing what you are doing, my friend! Mark, I can think of only one way Pearson's purchase of Author Solutions makes sense: the trad publishing establishment can't tell the difference between indie publishing and vanity publishing. To them, I suspect, it's all one giant slush pile. So it would make sense to them to buy a "going concern" in the self-publishing arm of the business. Personally, I'm inclined to let them figure out the difference on their own. And btw, Mark, I'm glad you're here for us -- keep on keepin' on! ChulaSlim, I believe David Gaughran is the originator of your quote. I saw him make it in the comments section of his post about the Author Solutions deal on IndieReader.com. David was simply comparing sales figures for the two companies; his main post shows that he definitely knows the difference between vanity publishing and Smashwords. So glad I found you. I've got 4 books up and plan to have 3 more by the end of 2012. By supporting Smashwords you are not supporting independent authors. The aggregator concept is a good one, but Smashwords seeks to make using their service compulsory and seize control of the e-pubishing market, the way big publishers controlled the print market. These "partnerships" that Smashwords is developing are going to hurt indie authors in the long run. Please do not use an aggregator like Smashwords that has such "partnerships" established. Better yet, don't use an aggregator at all. Once you've done the formatting on one book, you never need to be concerned with formatting again since you will address formatting at the outset or use the first book as a template. However, using an aggregator for formatting and delivery is fine, if voluntary, but Smashwords isn't seeking a voluntary arrangement. Try to upload your book to Sony and see how far you get. Take a stand now. Please don't trade long-term autonomy for short-term gain. This affects all indie authors and the future will be what we make of the present. yueI have been an 'established' writer for a good many years with eight hardback novels to my credit, published by reputable, London houses (Macmillan, Hale). I ventured into indie publishing having got the paperback rights to my books and have not regretted it. I have sold more eBooks and earned more money than I did with my novels, only one of which went into paperback (1986). I am now in the fortunate position of having four eBooks on Amazon, and two paperback novels to be published by Harlequin in American & Canada in 2013. My current publisher, Hale will be releasing an eBook of my latest title; THE BOY FROM BERLIN in November. The price will be £7.99. My eBooks sell at about $3.00. It will be interesting to see how my sales (and my reputation) are shaping up one year from now. The 'yuel' at the beginning of my comment is part of the 'robot' word I had to type. Somehow it lost its way. It should read 'I'. @ClulaSlim, thanks, I appreciate the sentiment. I see us as competitors on a different level. Although their business is primarily print focused (only about 1% of their revenues were from ebooks, based on the PW story), and we don't touch print, we're both competing for the ability to serve the same authors. They "serve" by selling services to authors, and we serve by helping authors produce, distribute and manage their ebooks. I think our model serves authors better, because the dollars flow to authors. @anarchist - I think that's a reasonable conclusion if we assume Pearson/Penguin used conscious logic. I'm giving P/P the benefit of the doubt, and am guessing they simply made a mistake. They mistook the lion for the wildebeest. Wildebeests are the Chicken McNuggets of the Serengeti for lions. They will not be able to continue ASI's business model without tarnishing their reputation with the same stain. The only way out of this for ASI is to change the model, but then they'd incur heavy losses above an beyond their $100m+ purchase price. Still scratching my head on why they did this. @Bruce, thanks for stopping by and sharing your thoughts! Folks, Bruce founded one of the companies acquired by ASI back when they were rolling up a bunch of self-pub services companies like Trafford, Xlibris and others. @Lynn, I think yours is the most plausible explanation yet. "[they] can't tell the difference between indie publishing and vanity publishing." It remains to be seen how the other Big 5 react. My guess is they won't repeat the same mistake. It also remains to be seen how long it takes them all to develop a sensible long tail strategy that incorporates self-publishing. All of Pearson/Penguin's competitors now have a limited window of opportunity to create a more sensible counter and turn P/P's albatross to their advantage. @R.C. Smashwords is a distributor (you can call us an aggregator, too, same thing), and we're proud of it. We don't lock authors into exclusivity, unlike some distributors. You can leave at any time. You're in control. I see your ebook is enrolled in KDP Select, so for the time being at least, you've chosen to limit your options and become entirely dependent upon a single retailer. Amazon's a great retailer, but you're missing out on the much broader exposure available to you at other retailers. Smashwords will give you the best of both worlds - wider reach, and no exclusivity. KDP Select was a mistake, but a learning experience as well. I have no problem with the way Smashwords started out, but if you engage in arrangements where an author MUST use your service in order to be listed at a site that benefits you and not the author. You provide a service that every author can provide for themselves and that is fine when it is not compulsory. When Smashwords openly advocates for online stores to open themselves to authors without the use of a distributor/aggregator, I will happily recommend you to authors who have neither the time nor the desire to do the work of self-publishing. Otherwise, it's all lip service and an attempt to take advantage of an author's content without having done any work at all. Does that sound familiar? R.C. Sorry, I don't understand your concern. Our job is to help our authors and publishers maximize their distribution opportunities. Often, we help authors reach retailers, or library aggregators, or other selling opportunities that they can't reach any other way. This is all great for the author. An author can choose to take advantage of our distribution, or not. Retailers have compelling business reasons to only take books through distributors, and to not operate their own direct platforms. This is their business decision to make. Authors and publishers also have compelling business reasons to use a distributor, rather than trying to go direct everywhere. It's up to the author or publisher to decide what's right for them. Some only use distributors, some only go direct, and some use a blended approach. We work with them all. So what you're acknowledging is that as things are trending right now, it won't be long before the digital market reflects the print market where authors are once again at the mercy of distributors and publishers. That sounds like a far cry from the freedom and liberation that has been bandied about since the advent of the e-reader. In art, music, and literature, content creators have long been taken advantage of, let's not try to pretend otherwise. This digital marketplace is supposed to empower the independent author, but with companies like Smashwords (and others) creating exclusivity arrangements, that power is lost. Authors don't need a company to do formatting, provide an ISBN, and upload a file to a server. They can do that themselves. But those who are willing to are being told they can't. Doesn't seem very author-friendly to me. On your defense of distribution partnerships and your claim that it's good for everyone, you aren't the first to expound the virtues of a business that was ultimately all about financial gain. As I recall, cigarette companies used to claim that tobacco was harmless. Bottom line, partnerships are good for Smashwords and not for independent authors. You keep selling your bill of goods and I'll keep trying to persuade authors to stand up for their independence. It may not make much of a difference, but if we all thought that way, we'd still be breathing asbestos and using lead-based paints. Let's just hope, for the sake of the independent author, that Amazon, B&N, and Apple don't opt for one of these "partnerships." I'd be satisfied with that. The majority of ebook sales come from Amazon and Apple anyway so if an author does a good job of promoting him or herself, the sales will happen (without the need for Smashwords or any other distributor/aggregator). R.C., wow, that's a first. Smashwords compared to tobacco companies. Our mission is all about helping authors connect with readers. We do this through partnerships. If we continue executing as I'm confident we will, over the long run the authors, publishers and retailers who partner with us and stick by us will become more successful than those who do not. Whether or not you decide to make Smashwords part of your distribution strategy, I wish you the best. The sarcasm is appreciated, but an analogy, however extreme, is still just an analogy. The point is that businesses will say what they have to in order to get and keep customers. If you really believe a system that compels authors to use a distributor, aggregator, publisher, or whatever you want to call yourself, benefits those same authors then I would have to say you've certainly been drinking the koolaid. Somehow, I don't think that's the case. I think you know exactly where this is headed and what the ramifications for authors will be. In any case, I didn't expect to change YOUR mind. I am only hoping to raise awareness with other authors and perhaps protect the somewhat open market we presently have. Thanks for the best wishes. In return, I will wish good health to you and that Smashwords opts to try to be profitable while doing what is right for their customers. A company can do both, but sadly, most don't. Here's hoping. While I agree with the overall premise, I think this statement: "authors who are selling higher priced books through traditional publishers are at an extreme disadvantage to indie authors" is flawed. 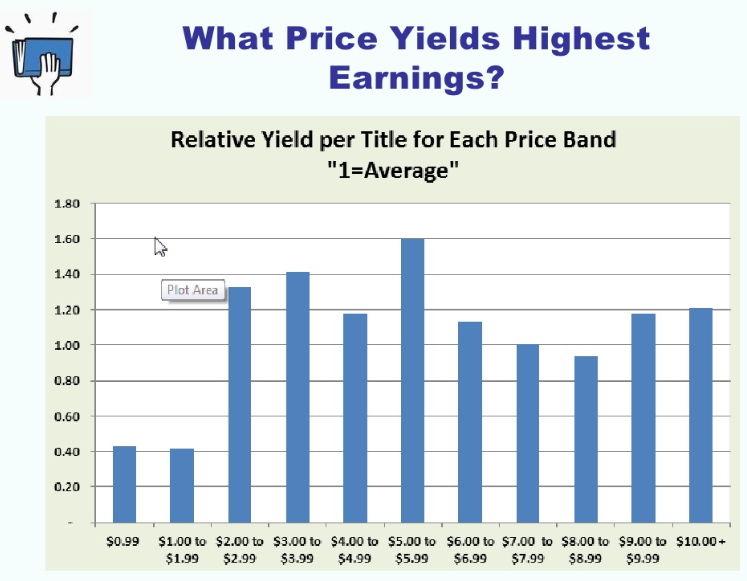 If most midlist authors enjoy a following of at least 10-20K readers and their publisher sets a price of $9.99 and they sell 20K books, then they have made $200,000 in net sales and if their royalty rate is 10% the author takes home $20K. An indie author selling at $2.99 needs to sell at least 10,300 copies at $2.99 to net the same money. Smaller platform more money is good, and maybe the indie wins in the long term, but a new indie author vs. a midlist traditionally published author with 5 or more titles in rotation loses every time. The real opportunity here is to show the midlist author how taking control of their ebook sales nets them $38,800 vs. the $20K they stand to make via their standard publishing arrangement. it;s not their careers that are in danger, it's their wallets! Qwantu, the point of the post is as follows: If an indie author can price their book lower, yet still earn an equal or greater income than their traditionally published counterpart, while at the same time selling more units, then the indie author is building more fans (platform) faster than the traditionally published author, and is earning more money. 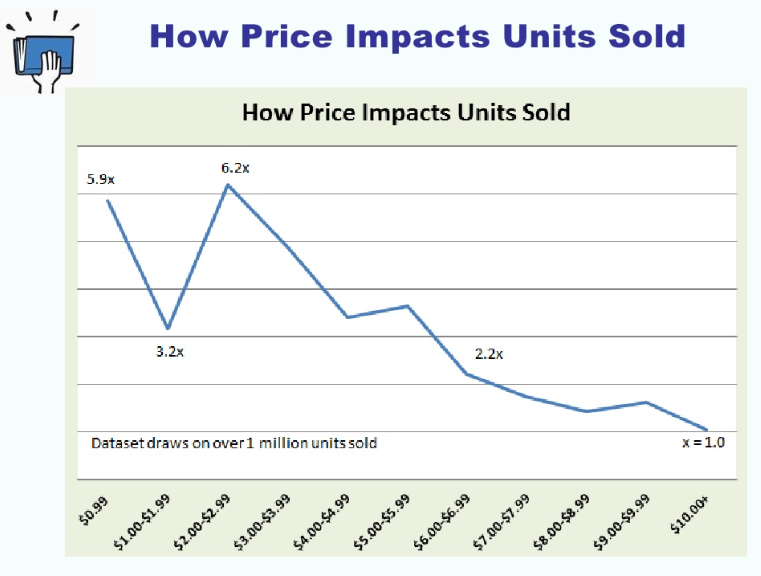 The data shows that lower prices sell more units than higher prices. Indies are earning 60 to 80% list price, vs 12-17% of list price that traditionally published authors are earning. Indies can price lower, yet still earn greater per-unit profits on each copy sold. I think what the industry needs now is a new kind of literary agent or publicist who can help the author better utilize this new way of doing business. So many of us could do even better than we do if we had someone to help us wade through the quagmire. What would be nice is an agent or publicist who would take a percentage of the sales rather than demanding their cut up front! (If you know of anyone like that, send them my direction! I'm absolutely appalled by the inflated prices the trads are charging for their e-books. There is no way in hell those shyster bastards can rationalize their pricing, it's naked greed at it's worst and I couldn't be happier that the indies are moving in and cleaning their clocks. The e-book versions of my novels are priced between $1.99 and $3.99 and though I'm not making money hand over fist, readers have taken notice and I'm seeing my sales curve upward (though, admittedly, not as fast as I'd like). I hope to live long enough to see the wrecking ball dismantling the headquarters of Random House et al. The corporate scum have had it coming for a long time and I wanna dance an old-fashioned Irish jig on their freshly turned graves.